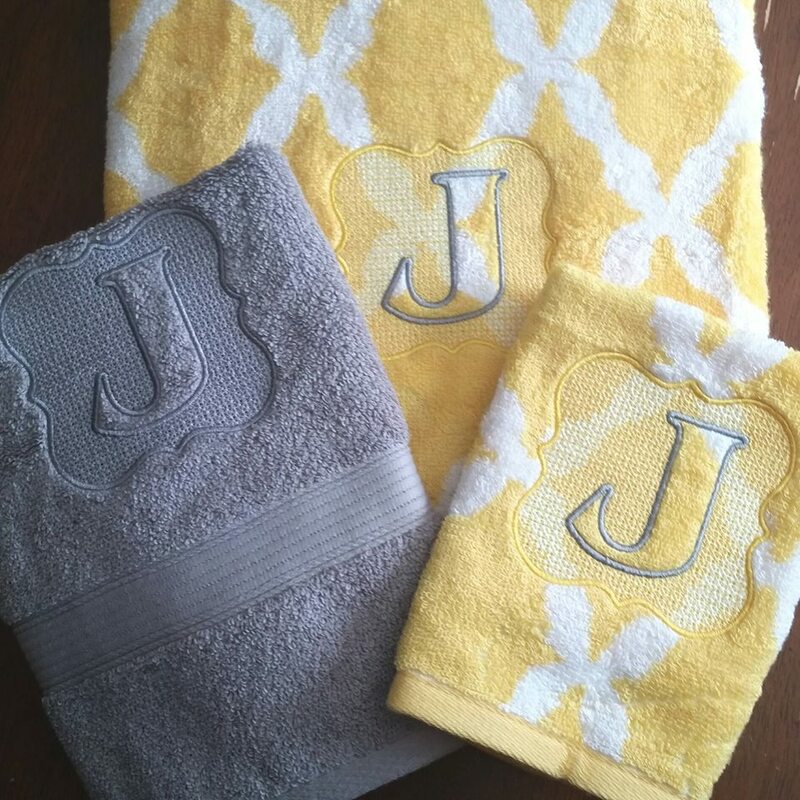 Customer Projects: Embossed Monogram Towels / Designs By JuJu Embroidery Blog! This entry was posted on October 23, 2018 by Julie Hesketh. 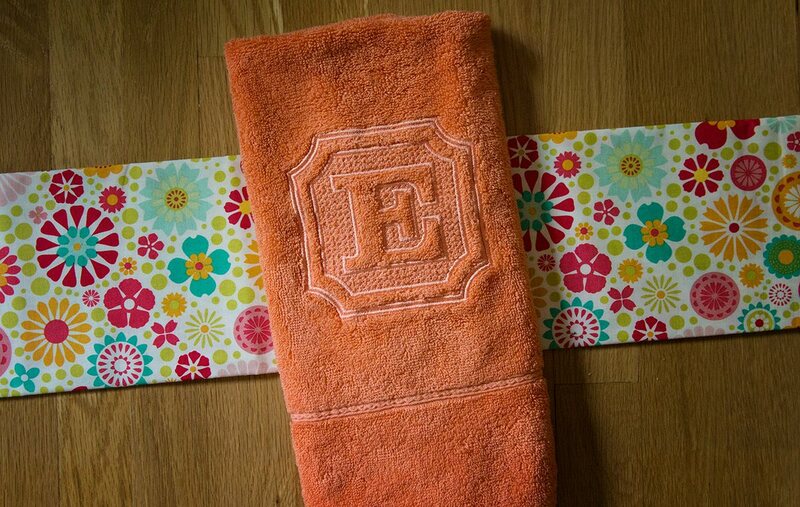 We've had so many customers share their beautiful towel projects using our embossed monograms. We love seeing them, and knew you would too, so we had to share a few of our favorites! How beautiful are these grey and yellow towels?? Francis used our Embossed Framed Monogram Alphabet to make them - Just gorgeous! 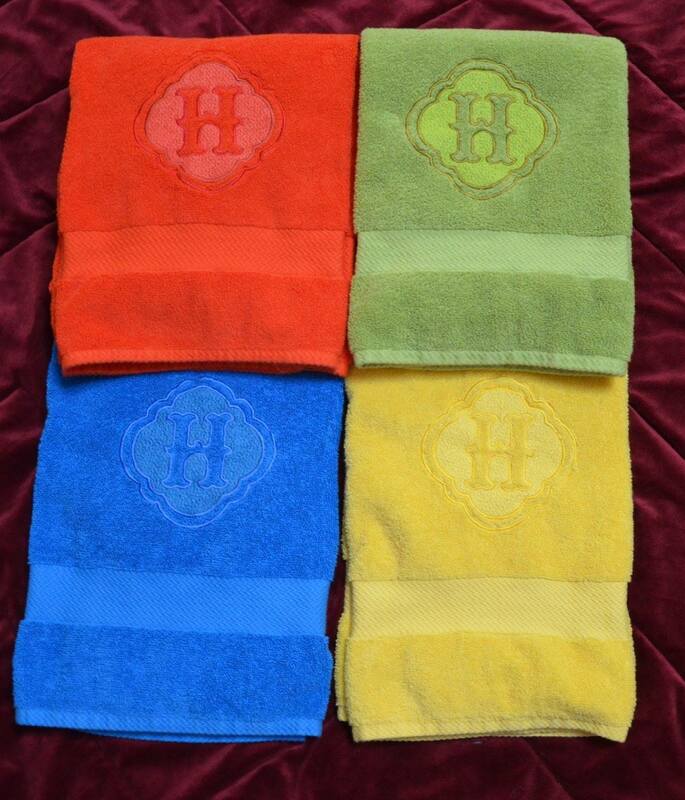 Lucia did a beautiful job with this set of towels. The colors she picked are so fun! She used our Chic Embossed Monogram Alphabet to make them. What a perfect idea for a personalized housewarming gift! 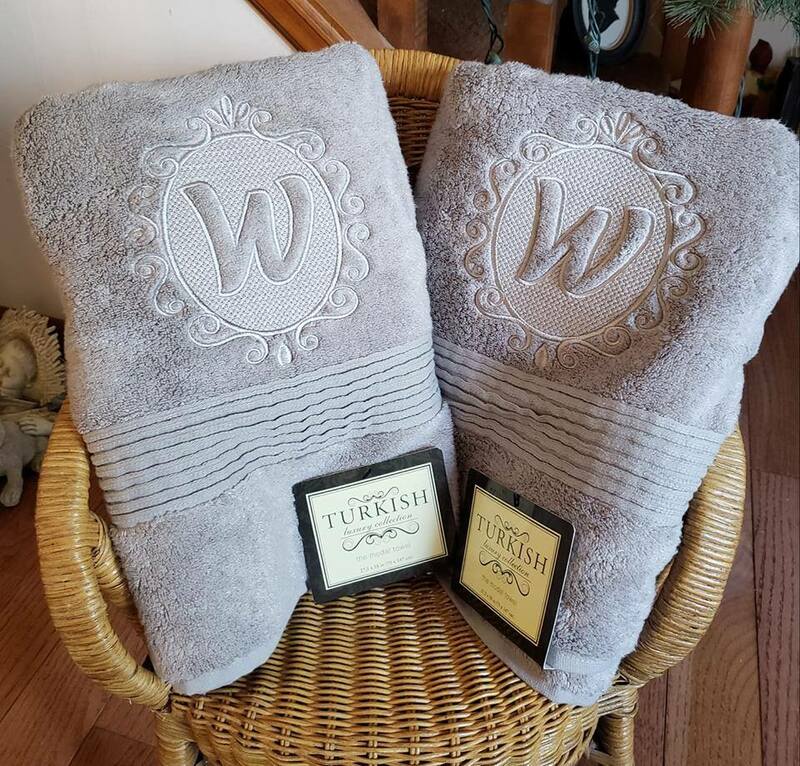 How beautiful are these towels that Donna made?? She used our Elegant Oval Frame Embossed Monogram Alphabet to make them! They came out beautifully Donna! 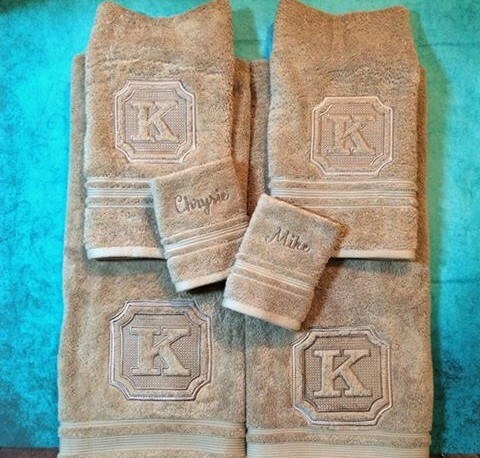 We just love how the monograms look on these towels! Absolutely beautiful. Zoe used our Preppy Monogram Alphabet to make them!